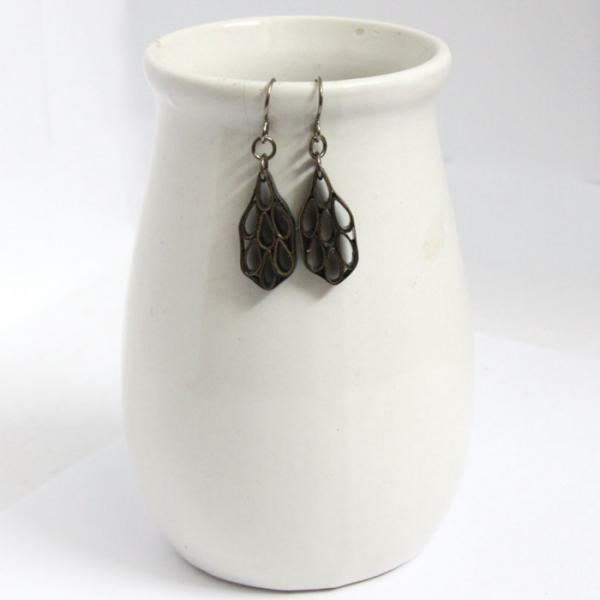 Simple and lovely, these eco-friendly earrings are a great accompaniment to any outfit! 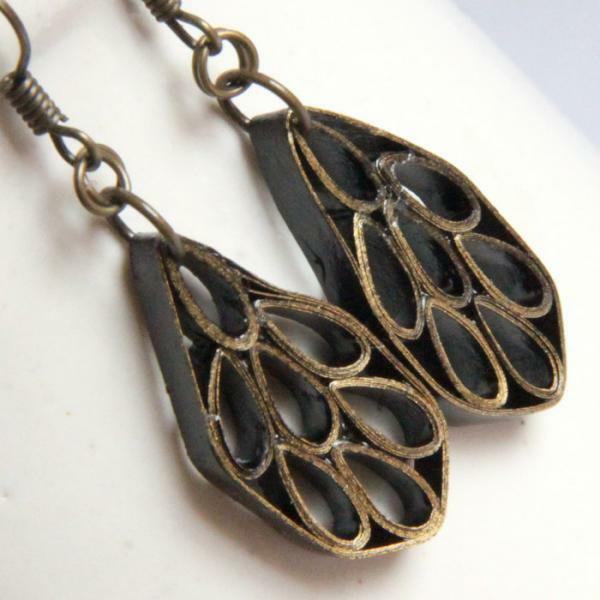 This pair is made with specialty quilling paper that is black with a gold gilded edge (gold edge is only on the front of the earrings). 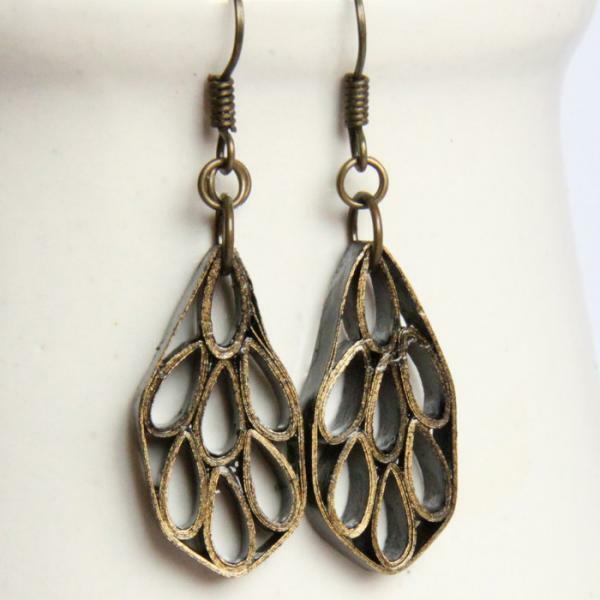 The earrings in the first photo were finished with antique bronze earwires. Yours will have high quality niobium findings of a similar color, as shown in the 2nd through 4th photos. Why niobium? 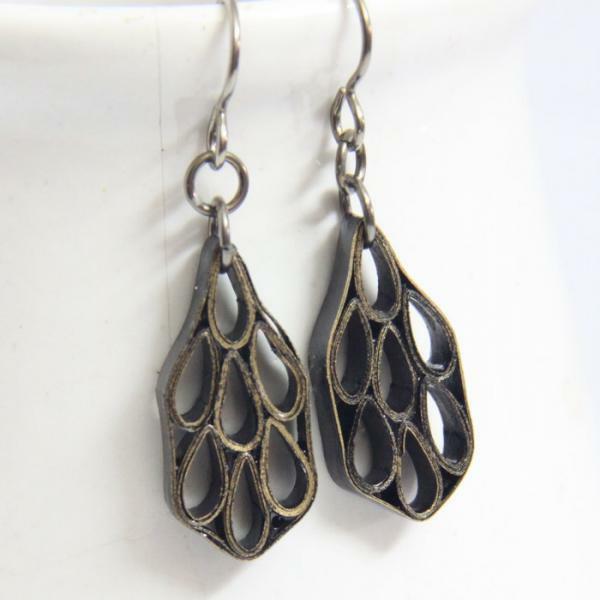 They are non tarnish and hypoallergenic, my favorite earring findings! As with all my jewelry, these earrings are carefully varnished with non-toxic water-based sealants to be water resistant and sturdy. **SHIPPING NOTE** The shipping rates from Malaysia to other countries have recently been revised. The minimum shipping rates are shown and it is the shipping rate for all packages under 250 grams. 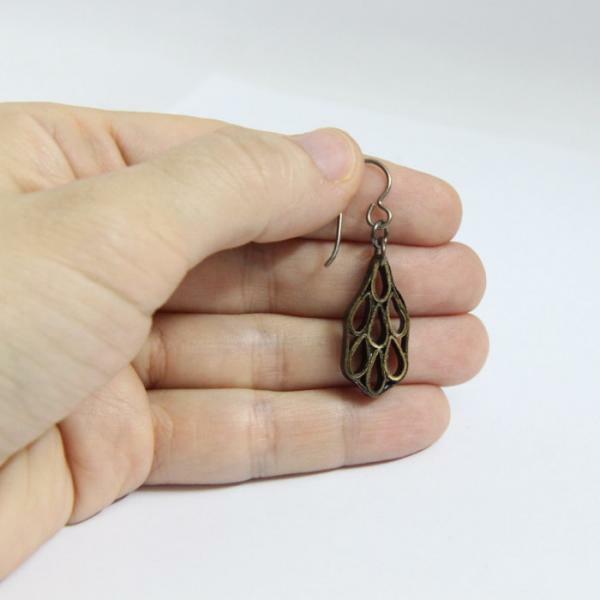 I can ship several pairs of earrings/items for this price, so I have used it as a flat rate shipping. Sometimes I am able to send a package as an envelope instead of the "small package" rates. If this is the case and your shipping is less than what is shown, I will reimburse the difference via paypal. I apologize for the rise in shipping, but it is beyond my control. I wish it wasn't so high, but I have decided to be up front about what the shipping rates are instead of absorbing part of the cost into my items. This is the least expensive way for you, and then I am also able to easily reimburse any difference if I am able to send your package for less. Thank you for your understanding.